This winter has been dangerously cold at times, with the recent polar vortex and its subzero temperatures. So naturally, we at Moran Family of Brands have been thinking about how the elements affect your car. Over the course of a typical winter, the elements can take a toll on your car. If we have any more bitterly cold days ahead of us, you’ll want to pay close attention for these potential problems with your car. Your battery is at risk of dying. If your car gets extremely cold, the battery could freeze. Now, the good news is that it must get extremely cold before that happens. Some experts suggest as cold as negative 76 degrees. That said, even at 32 degrees, your battery can start having problems. Your best bet is to keep your battery connections clean and free of corrosion, and if you’re ever stuck in the house because there’s snow outside, or it’s extremely cold, you might want to go out and start your car and idle it for a minute or two or and take it out for a brief drive around the neighborhood. Of course, you can always come to Milex Complete Auto Care, and we’ll be happy to clean or test your battery, if you are concerned about its strength and performance. Thickening oil. Yes, oil can get thick when it’s cold outside. If the temperature falls to 20 below zero, at that point the oil is so soupy and syrupy that the engine’s oil pump may have trouble circulating it. If you live in a colder climate, you may want to use an oil that can better withstand winter elements. For instance, you may want to switch from 10W-30 to 5W-30. If you’re worried about your oil, and especially if it’s been awhile since you’ve had an oil change, anyway, you may want to talk to Milex. That said, odds are, if you get your oil changed regularly, and you live in a cold climate, and you’ve had your oil changed around winter time, your Milex technician has probably already given your car oil that will withstand the elements. But if you’re concerned, it can’t hurt to ask. Underinflated tires. As your tires get colder, the air inside your tires contract, and there’s less pressure. If you’re driving on ice with tires that aren’t full of air, you may find that you’re sliding in your car more than steering it. You’ll want to check your tire pressure during or after an intense cold stretch. Professionals with Milex can check out your tires while making sure you have the right oil for the winter. Slipping transmission. 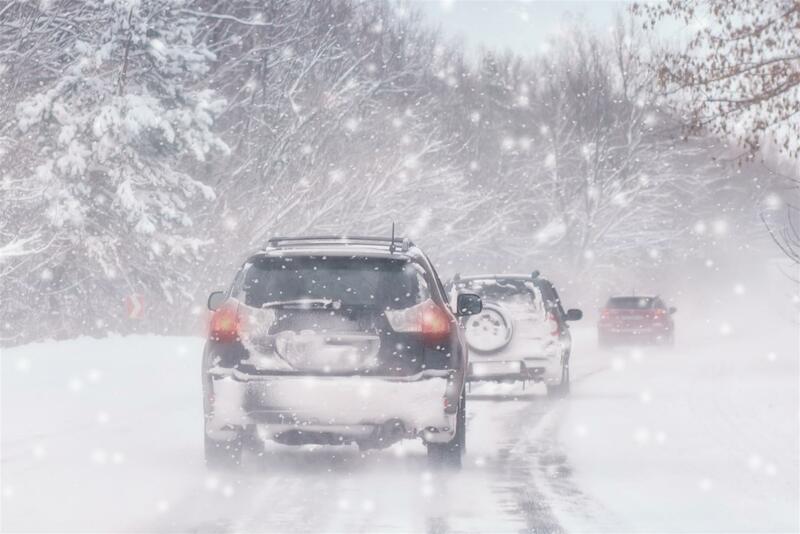 If your car is out in the elements, your transmission system can freeze, and eventually, the transmission can slip. It can take a while for that to occur and certain things need to happen, like line fluid leaking from the seals. But if you see anything leaking, or your transmission seems to be slipping (it can feel like you’re driving in a certain gear and then it suddenly changes; strange noises from the engine can suggest a problem, too), please come out to Mr. Transmission and get it checked out. But that said, starting your car occasionally in cold weather won’t only help your battery, as we mentioned. It can help prevent a transmission from freezing. Frozen fuel lines. The fuel lines that lead to the fuel tank can freeze. But a fuel tank that is at least half full will protect you from that (and help your transmission). Condensation forms in the empty part of your gas tank, which is fine during the warmer months, but when your car is extremely cold, the condensation can freeze, the fuel lines ice up, and suddenly you can’t start your car. So, sure, snow and ice can do a number on your vehicle, especially if it causes you to swerve out of control when you’re driving. But it’s really the cold that should make every car owner shiver.